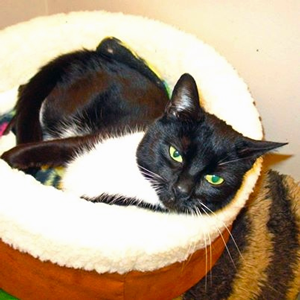 Joanie is very friendly, just loves people, and gets along well with other cats. Photo credit: Community Cat Coalition. Joanie is very friendly, just loves people, and gets along well with other cats. She is not fond of dogs. If you are looking for an affectionate playful young cat to join your household please stop by Paddywack Pet Supply In Mill Creek Town Center and pay her a visit. Joanie has been altered, is up-to-date on vaccines, wormed, flea rx, tested negative for viral infections and microchipped. Our website is: communitycatcoalitionwa.org. We also post frequent stories/information on our Facebook page. http://www.facebook.com/CommunityCatCoalitionWa.